Happy Fourth of July! Having spent the weekend with my extended family, I'd like to take a moment to acknowledge the efforts of not only the people in the armed forces, but also the folks hard at work both within and outside of our government who strive to make this country a fantastic place to live. It takes a lot of teamwork to turn this place into a home and there are a great many unrenowned people who do a little bit here and there to make it a great home. Thanks! 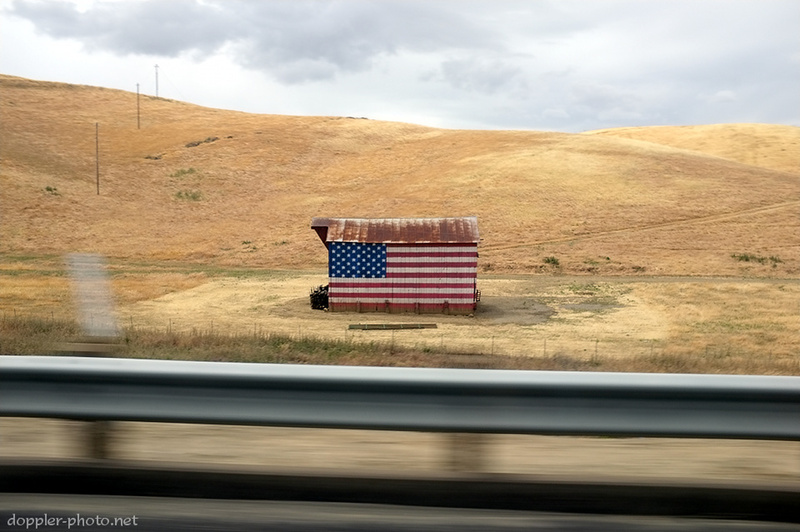 I spotted this flag painted on the side of a barn somewhere between Livermore and Brentwood, CA. I think it demonstrates just how much of a difference a single individual can make: finding it certainly brightened my day, and I imagine I wasn't the only one. So if you can make a little bit of a difference, go ahead and make that difference! To cite Mahatma Gandhi, "You must be the change you wish to see in the world."